Good electric arc stability in AC/DC soldering, unlike thoriated 2% which is only used with DC. It has a long duration and can also be used with higher current than normal electrodes. Great performance with low currents. Particularly suitable for spot welding. Not radioactive. Each pack contains 10 electrodes. Recommended for carbon and stainless steels, aluminium, magnesium, titanium, nickel and copper alloys. 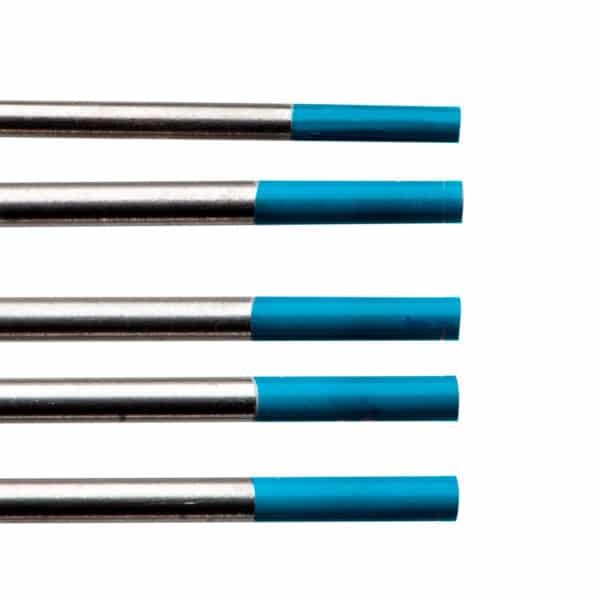 Tungsten electrodes are used in arc welding with inert gas and tungsten (TIG). Tungsten is used at very high temperatures as it resists melting and degrades very little (if working in a controlled atmosphere with inert gases as is usually the case). The electrodes are made by sintering powders and subsequent forging. 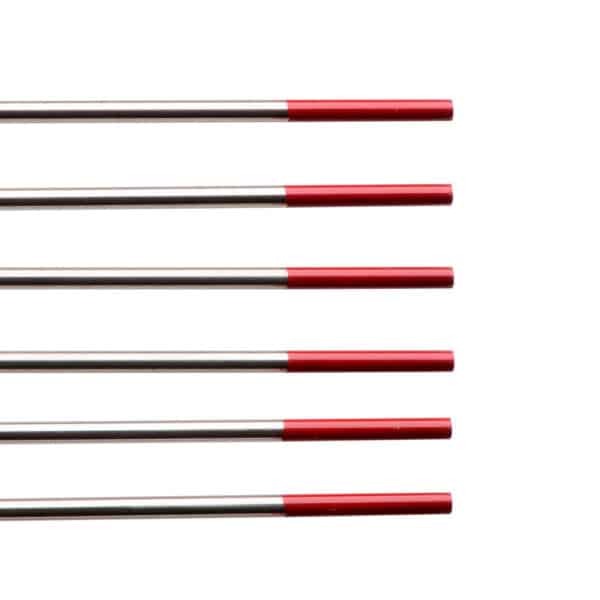 Universal use electrode. Provides excellent performance both in DC and AC soldering. Good arc stability at 500 Ampere. 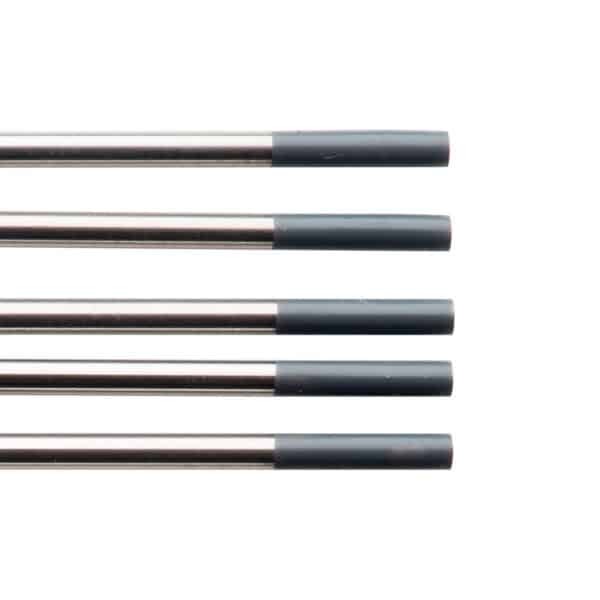 The most common among thorium-free electrodes. Recommended for the welding of aluminium and light alloys, together with stainless steel. 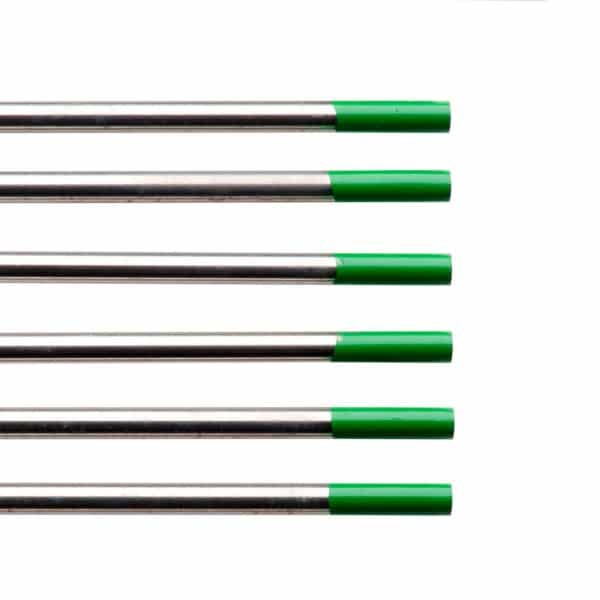 Environmentally safe electrode ideal for replacing, with greater durability, thoriated electrodes in automated systems that weld stainless steels with DC power. Not radioactive. During use, it is best to keep the nozzle clean without altering its geometry. First generation environmentally safe electrode. Used to replace thoriated electrodes to work around even minimal problems, due to the presence of thorium oxide. Good ignition and optimal duration. Specific for welding aluminium and stainless steel. 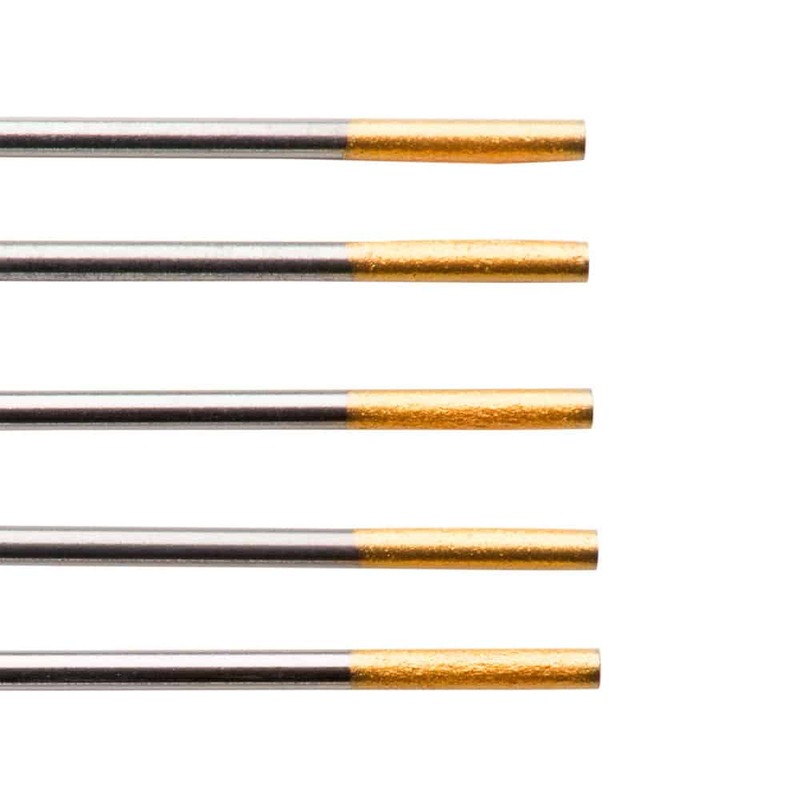 These electrodes contain 2% thorium and are the most used in the world for their excellent welding performance. Specific for welding stainless steel. They require a good suction system as it’s vapours or dusts are harmful if inhaled, especially when sharpening. 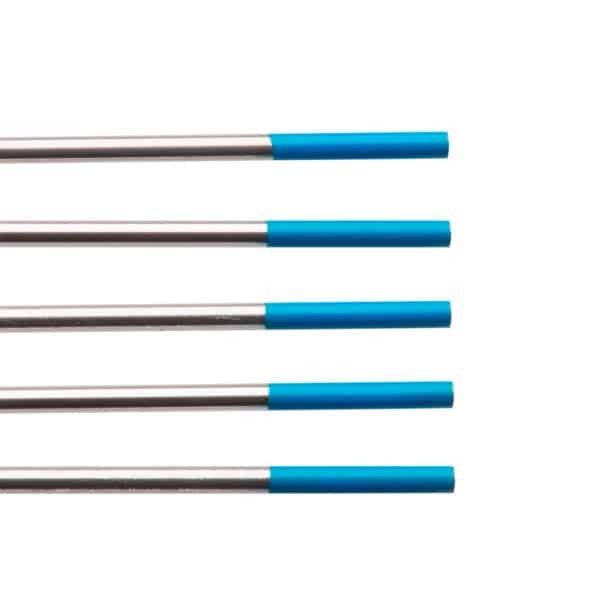 Since this material in certain conditions contains radioactive elements, even below the tolerance thresholds allowed, this electrode is only supplied upon request. Good electric arc stability in AC soldering. Can also be applied with DC power for small power source. Particularly suitable for welding light metals and light metal alloys. Specifically, for welding aluminium.